No matter where your body aches or how cold you are, heating pads can help you treat your muscles right and give you the deep cozy heat you crave. Let’s take a look at our top picks. Why use a heating pad? While we’re not here to offer medical advice, heating pads are a long-standing and accepted tool in the arsenals of people dealing with everything from back pain to menstrual cramps. If what you’re looking for is deep targeted heat, it’s tough to beat a good heating pad. Whether you’re looking for the best bang for your buck, or you have a specific area of your body you want to target, we’ve got a heating pad for you. Maybe you’re interested in something a little more comfortable than those stiff, plastic heating pads your grandma used to use, or maybe you just want something for that back or shoulder pain. Whatever the need, we’ve got the best heating pad. 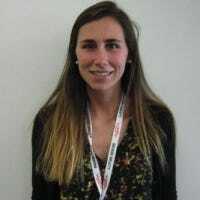 You’ll notice our recommendations are for highly rated, brand name products. A poorly designed heating pad could result in serious injury, so to avoid that risk we’ve favored good quality construction over bargain-basement prices. Given the choice between purchasing a Sunbeam heating pad for $35 or a direct knockoff of the design for $24, we’ll spend the extra few bucks every time. Looking for a general-purpose heating pad at a great price? 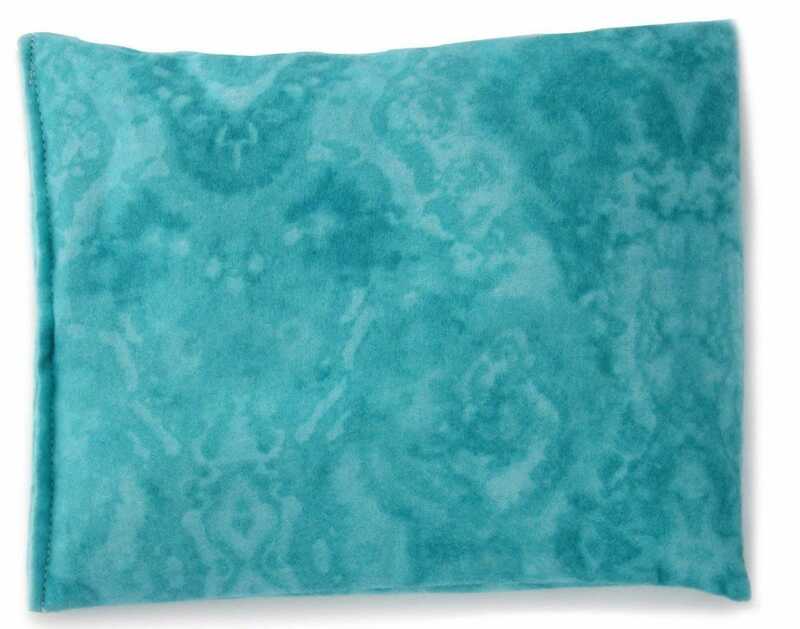 The Sunbeam King-Size Microplush Heating Pad, which is 12” x 24”, is our best overall pick because it’s not only a great size to cover your back, legs, shoulders, or any part of your body, it’s made of a super soft, microplush fabric that feels like a blanket. With 4 personalized heat settings, you can determine the intensity of the heat. There’s even an auto-off feature that shuts the heating pad off after 2 hours for peace of mind in case you fall asleep or want to conserve energy. The Sunbeam also has a 9-foot cord so you can relax your muscles in your favorite spot. Lastly, you’ll never have to worry about the pad getting twisted up inside of its cover since the plush exterior is the heating pad. If you’re looking for a heating pad that’s like the Sunbeam Heating Pad (which can heat any part of your body) except bigger, then you’ve come to the right place. The PROALLER King Size Heating Pad is 23” x 24” in size, covering you almost like a blanket. This heating pad is great for your neck, back, shoulders, abdomen, arms, or legs without slipping off or leaving skin exposed. The PROALLER has 3 temperature settings that can be controlled by the remote on its 10-foot power cord. It also has a 2-hour off feature in case you fall asleep during use. The double-sided, ultra-soft flannel exterior can be used either moist or dry, depending on how you prefer the heat to penetrate your muscles. Just spray the exterior with water and you’re good to go. You won’t even need to wait for this heating pad to heat up, since it can provide pain relief in just 2 seconds thanks to a rapid-start design. 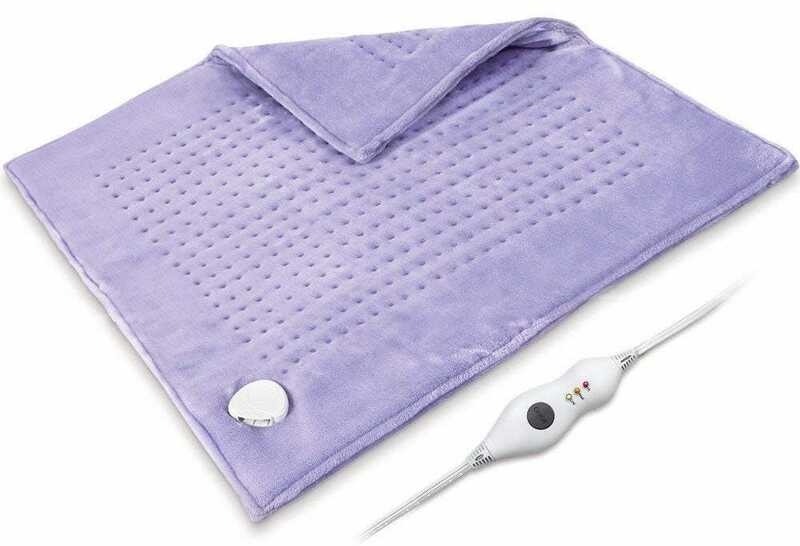 If you liked the idea of a heating pad large enough to cover you like a blanket, then check out this Honeywell Mind & Body Electric Spa Wrap, which is a super cozy, machine washable heating blanket. 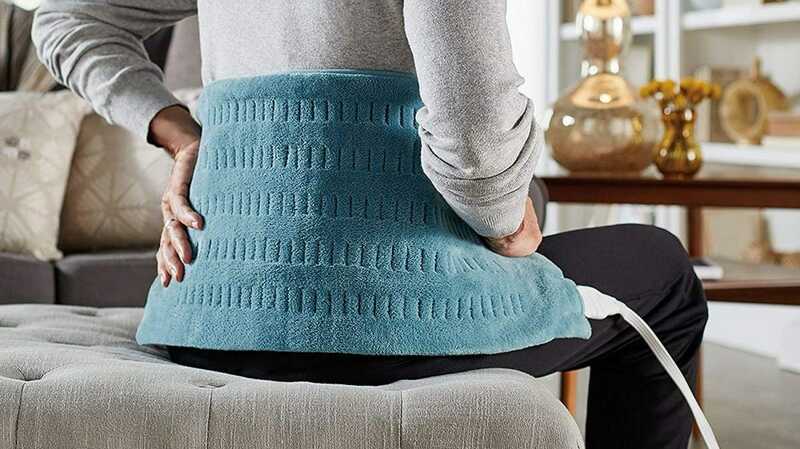 It’s really difficult to find a heating pad for your shoulders that actually stays in place, but we think you’ll be extra pleased with our pick. The CloudWraps Heating Pad for Neck and Shoulders has a flexible design and is shaped to fit the contours of your body so that doesn’t fall off like a traditional rectangular pad. It’s oversized for extra comfort so you don’t feel like it’s sliding off your shoulders. There’s even a snap closure on the front so that it stays in place while you’re sitting up or lying down. 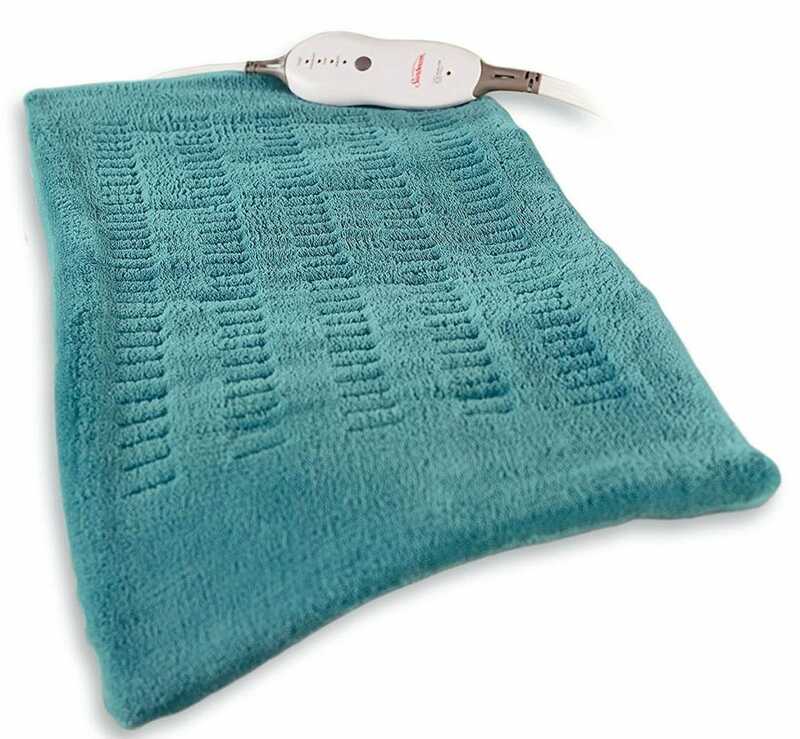 The CloudWraps Heating Pad has 3 heat settings and a moist heat option where you spray the heating pad with water for that “sauna feel.” This super soft heating pad has a long power cord so you can enjoy the warmth from any location. Plus, you can remove the cord and wash the heating pad easily. And even though the CloudWraps heating pad is made for your neck and shoulders, it can be used anywhere you need heat. If you’re worried about dealing with electricity and cords with your heating pad, but need some muscle pain relief, then the Home Comfort Microwavable Heating Pad is for you. With a soft flannel exterior, the inside of this heating pad is filled with rice. Just put the 10.5” x 8” heating pad in the microwave for 2 minutes and it’s ready to relieve your headaches, body aches, or cramps. The Home Comfort Heating Pad is perfect if you’re about to go to bed, because you can fall asleep with it and not have to worry about turning it off or creating a fire hazard. 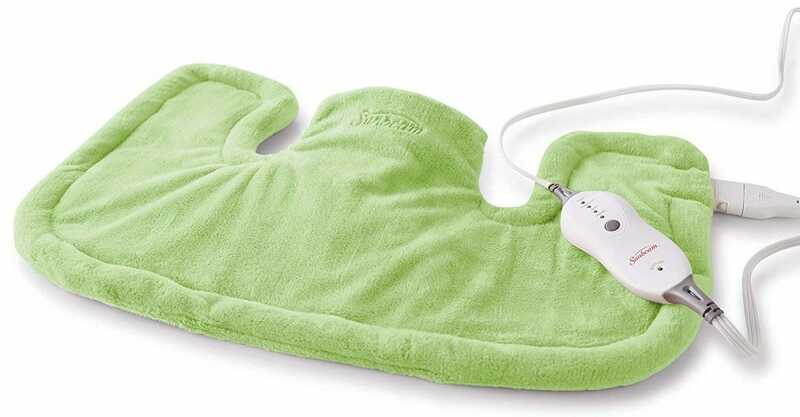 Like a bean bag, this heating pad conforms to the shape of your body, and can stay warm for 30 minutes to an hour. There’s even 13 different colors and patterns to choose from. Whether you’re on your couch, at work, or in your car, back pain can really decrease your quality of life. Help yourself and your back by purchasing the SNAILAX Vibration Massage Seat Cushion and Heating Pad. This cushion targets your upper, middle, and lower back as well as thighs in order to relieve stress, tension, and pain. With 6 massage nodes and different heating options for your back and seat, the SNAILAX can either target specific areas or massage/heat all of these areas at once. It has a non-stick rubber bottom and straps on the back so you can place it anywhere at your convenience without it sliding around or falling over. 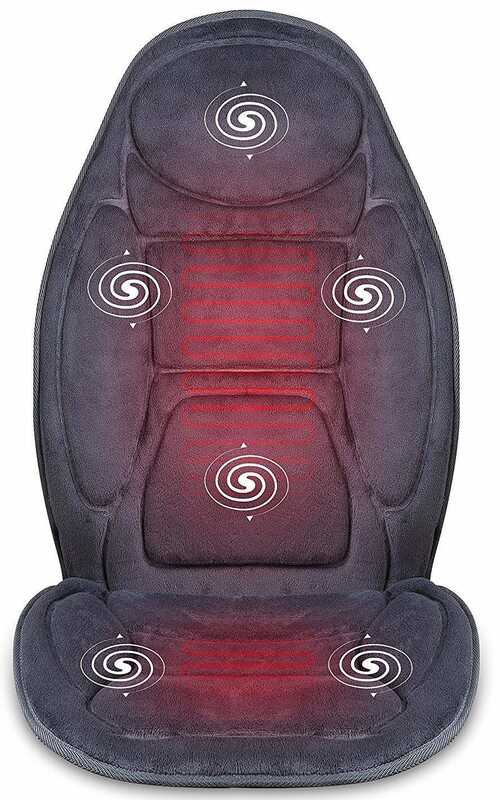 This cushion has 5 vibration modes and 4 vibration intensities, which allows for a custom experience. Lastly, you can use it at home, work, or in the car since it comes with both a car and wall adapter.